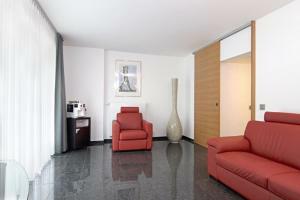 Location good, lots of space, well maintained and clean. The apartment is very close to the railway line but because it had been set out well it was very quiet. Next to the train station and the cathedral. Room is big. 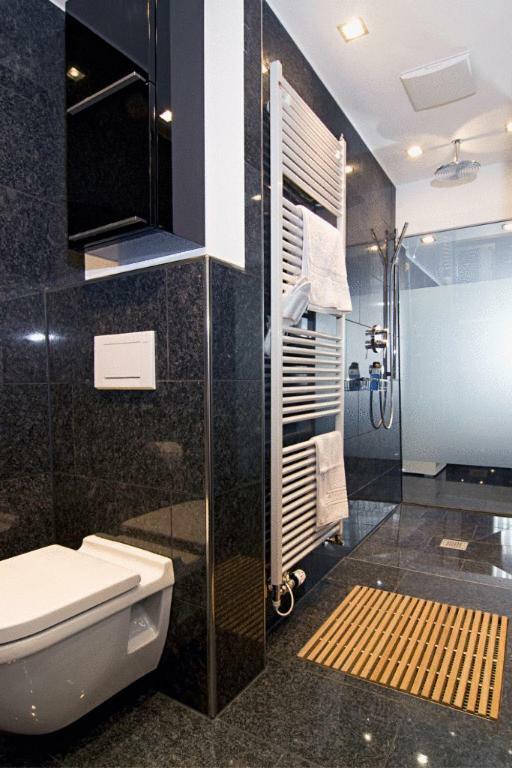 Bathroom is large and nicely done up. Very clean, spacious and comfortable. 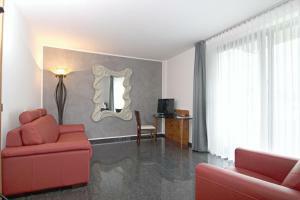 Good central location, easy walking distance to the train station, cathedral and restaurants. Die Unterkunft ist sehr geschmackvoll und hochwertig eingerichtet. 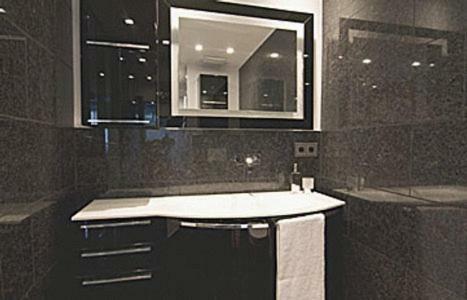 Der dunkle Marmor ist sehr chic. Trotz zentraler Lage war es sehr ruhig. Es war perfekt sauber. Der Inhaber war sehr freundlich und zuvorkommend. Absolute empfehlenswert. Ich komme wieder. Schöne, großzügige Apartments, perfekte Lage, nachts ruhig, gute Parkmöglichkeit. Nettes Team. Sehr empfehlenswert. Lock in a great price for Maria Suite am Dom – rated 8.8 by recent guests! 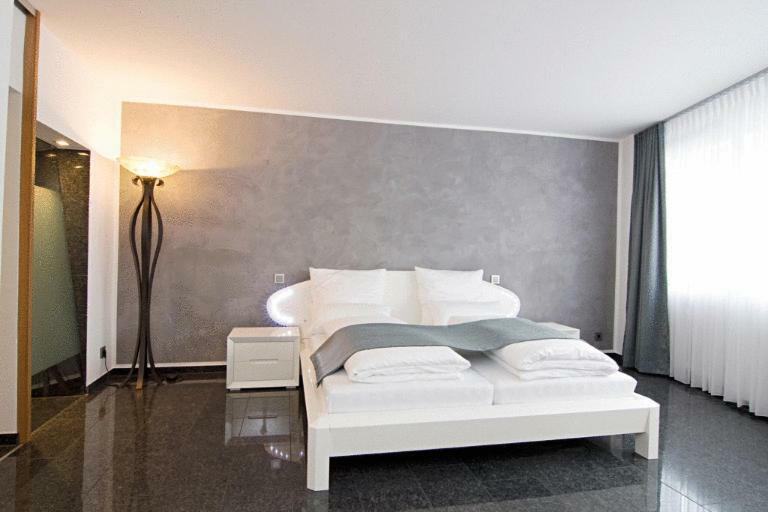 Maria Suite am Dom This rating is a reflection of how the property compares to the industry standard when it comes to price, facilities and services available. It's based on a self-evaluation by the property. Use this rating to help choose your stay! 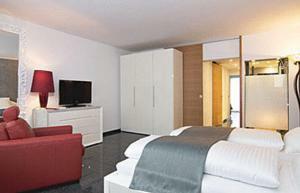 These suites are in the heart of Cologne, just 1,000 feet from the Kölner Dom cathedral and main train station. The spacious, soundproofed suites offer free Wi-Fi internet access. The suites at the Maria Suite all feature a separate living and sleeping area and modern bathrooms. 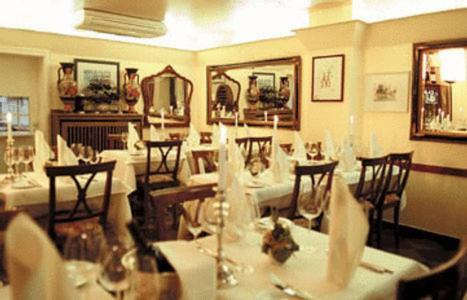 The Maria Suites' Da Damiano restaurant serves Mediterranean specialties for lunch and dinner. Guests can enjoy breakfast at the Hilton Hotel, just 650 feet away. The Old Town, cathedral and main train station are just a few minutes' walk away. From here, it is easy to reach all of Cologne by public transport. 뀐 Located in the real heart of Cologne, this property has an excellent location score of 9.0! When would you like to stay at Maria Suite am Dom? This suite is located on the second floor. House Rules Maria Suite am Dom takes special requests – add in the next step! One child from 6 to 12 years is charged EUR 30 per person per night in an extra bed. Maria Suite am Dom accepts these cards and reserves the right to temporarily hold an amount prior to arrival. Check-in times are as follows: Monday to Friday, 8:30 am - 2 pm and again from 6 pm - 12 am. Please note that on Saturdays there are different check-in times. Guests are requested to contact the hotel in advance and, when possible, to give their mobile number at the time of booking. Please inform Maria Suite am Dom of your expected arrival time in advance. You can use the Special Requests box when booking, or contact the property directly using the contact details in your confirmation. No English breakfast tea or milk. The pillows on the bed were either very big or very small, would be nice to have normal size pillows x 2 per person. Not an issue for us but there were lots of stairs up to the apartment for anyone who may struggle with that. actually nothing because its the perfect place to stay there for a fiew nights in the heart of Cologne!